Hey, friends! Today is Alaska Wild Salmon Day and to we’re celebrating with these delicious Asian Salmon Sandwiches topped with a crunchy sesame slaw! If you’ve been following the blog for a while, you may have noticed that I love my wild Alaska salmon! One-pan meals, teriyaki style, parchment pockets…there’s definitely no shortage a salmon dishes in our house! However, not all salmon is created equal. There’s a big difference from farm-raised, which may contain antibiotics or pollutants, and wild-caught, which is what we always buy. Salmon harvested in Alaska is wild-caught, sourced sustainably, and all-natural. Whether you buy it fresh or frozen, there are many different species of salmon sold, including king, sockeye, coho, keta, and pink. Be sure to ask your fish monger to show you which ones are Alaska salmon, if you’re unsure. We love all salmon, but my favorite is sockeye, because of its beautiful color. My local fish market has an array of fresh Alaska salmon to choose from, since we’re still in salmon season, but I buy frozen Alaska salmon in the winter, which is equally as delicious and very convenient too! The frozen pouches are super easy to prepare. 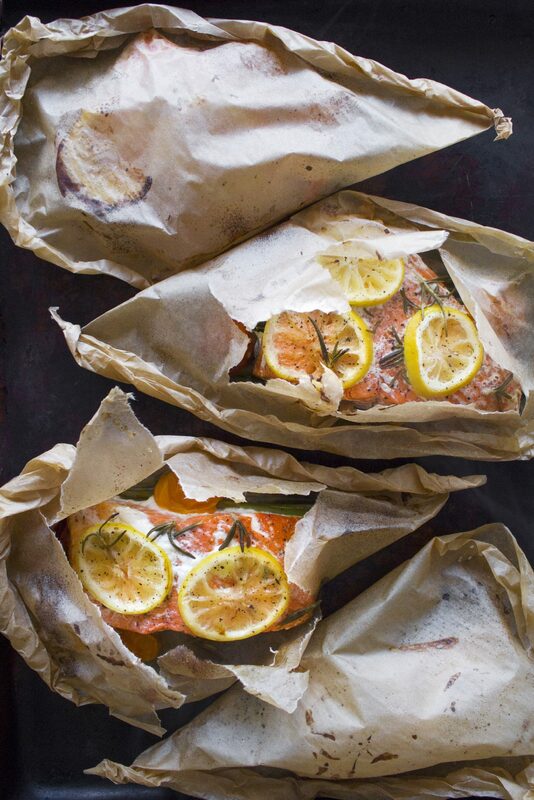 Whenever we’re ready for dinner, I just briefly thaw a few of the vacuum sealed salmon pouches in cold water, then place the fillets on a baking sheet, season them quickly and bake or broil them in the oven. Bam, a healthy and delicious dinner can be on the table in about twenty minutes! 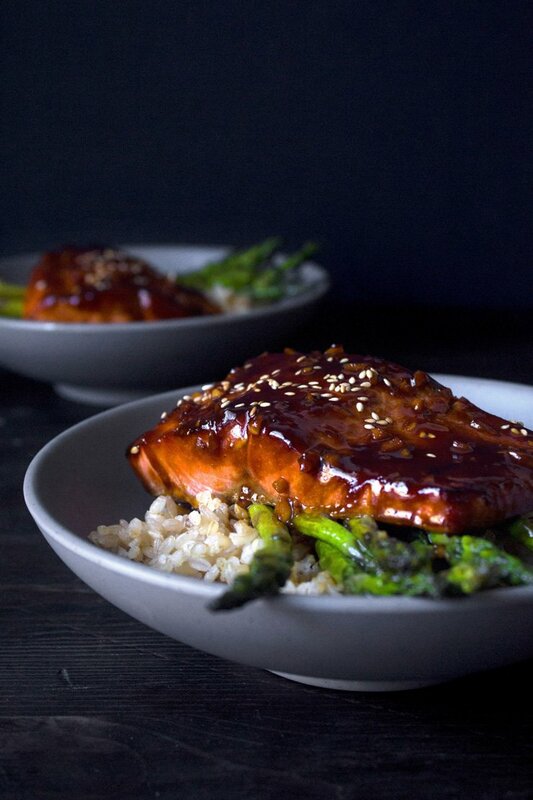 This Asian-style salmon has to be one of my new favorites! It’s marinated in Asian flavors and broiled in the oven for only a few minutes. I like broiling because it cooks it quickly at a high temperature, so the outside gets nice and caramelized, and the inside stays juicy. It almost tastes grilled, yet much easier to prepare since you don’t even have to start up the grill! We don’t eat a lot of red meat, so these salmon sandwiches are kind of like our version of a burger. If you’re gluten-free, feel free to use gf buns or sandwich bread. If you’re grain-free, just omit the bread altogether and enjoy the fillet with the delicious slaw! Add a baked potato or steamed quinoa and you have a full meal! Whichever way, I hope you give this a try and enjoy it as much as we did! Also, learn why it is important to #AskForAlaska at the seafood counter and in restaurants by visiting www.wildalaskaseafood.com. There you’ll also find hundreds of Alaska seafood recipes, tips, and cooking techniques to help you plan your next meal! This yummy sandwich features an Asian marinated Alaska salmon fillet with a tasty sesame slaw! It's a quick and delicious meal that can be made in a little over 30 minutes! Recipe includes grain and gluten-free alternatives! Place Alaska salmon in a shallow dish to marinate. In a small bowl, mix together 3 tablespoons soy sauce, honey, rice vinegar, sesame seeds, and garlic. Pour over the salmon and refrigerate for 15–30 minutes, to marinate. Turn once, halfway through, to marinate the other side. To make the sriracha mayo, just blend together mayo and sriracha until well combined. Keep refrigerated until needed. 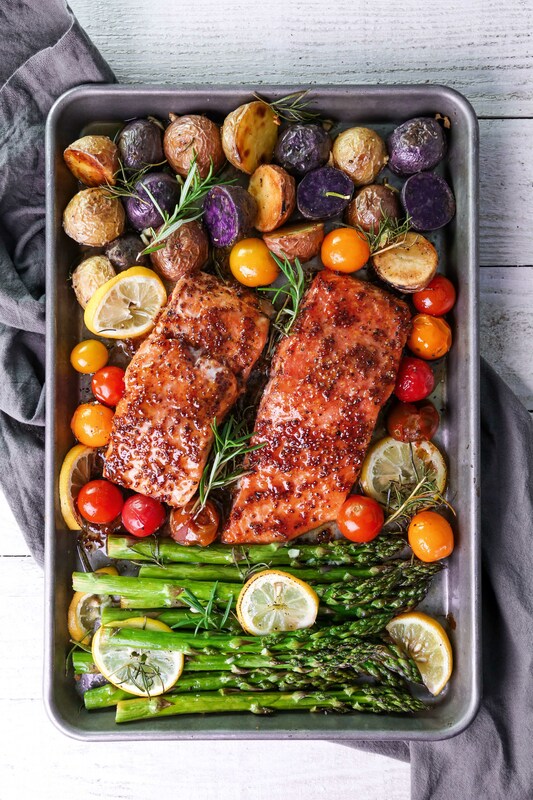 Place marinated salmon on a baking sheet. Brush each fillet with hoisin sauce and place under the broiler for 4–6 minutes, just until fish flakes apart easily with a fork and center is cooked. Keep an eye on it closely to keep it from burning. If the top gets done before the center does, turn off the oven, and just let the salmon rest in the warm oven for a few extra minutes. Spread sriracha mayo onto a warm bun and top with a salmon fillet and sesame slaw. For a grain-free version, use coconut aminos instead of soy sauce, omit the bread and just eat the salmon with the sesame slaw. For gluten-free, just use tamari or coconut aminos instead of soy sauce, and a gluten-free bun or bread slices. I LOVE salmon! This meal looks yummy and tasty, but seems somewhat complicated to make. Hi, you should give it a try. It’s really not that difficult to make. Have a great evening! I don’t eat fish, but that slaw looks fantastic. I must give it a try! I actually have black sesame seeds on hand, too. Awesome, great name btw! Please let me know how you like it if you try it! Thank you for the kinds words! Have a lovely evening! The combination of the slaw, dressing and the salmon sounds like such a fresh and tasty combination. I would be more tempted to have this without the bread and I think it would just be divine. Thank you Nicole! Have a lovely weekend! I looks to mouthwatering and easy to prepare. I guess I can do the same recipe with tuna since we do not get frozen salmon in out grocery. That sounds good! Thanks Kat! Love Asian salmon as well! The slaw looks really delicious. OH. MY. GOODNESS. This looks so good! Having lived in Alaska, we’re big suckers for Alaskan salmon. This sandwich looks to die for, and is making my mouth water. Thanks for sharing! Thank you Mar! Have a lovely evening! Great and easy to follow recipe! I also love the pictures. I love wild salmon–but not sockeye. The recipe sounds like it is worth trying. Thanks.